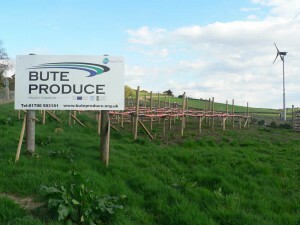 Bute Produce, officially opened September 2009, as a healthy eating initiative with environmental aims of reducing food miles. This was one of the first projects that Towards Zero Carbon Bute supported with Climate Challenge Fund monies. The current project was successful in gaining Argyll & Islands European Leader and Highland & Island Enterprise support, May 2011, to focus on developing our 6-acre site into to a market garden and delivering employability skills for long term unemployed and young people. Bute Produce now has a ‘Veg Shack‘ on site as well as our Green Box Delivery Scheme and offering a bespoke box service. This project ended September 2013. We also own and manage ‘Jenny‘ a 6kw wind turbine at the Site, which provides a small additional income stream. Today Fyne Futures Bute Produce has received £60,900 from the Heritage Lottery Fund (HLF) for an exciting project, Bute Heritage Horticultural Training Centre and Seed Bank, on Isle of Bute. The project will explore the rich history of Bute potatoes, develop a growing area for Bute heritage varieties, and providing training and learning opportunities to increase our understanding of heritage horticulture skills. The project will enable local school children to be involved as researchers, and have the opportunity to get involved in more practical activities. Volunteers will be able to exchange knowledge and receive practical training in the art of seed banking. 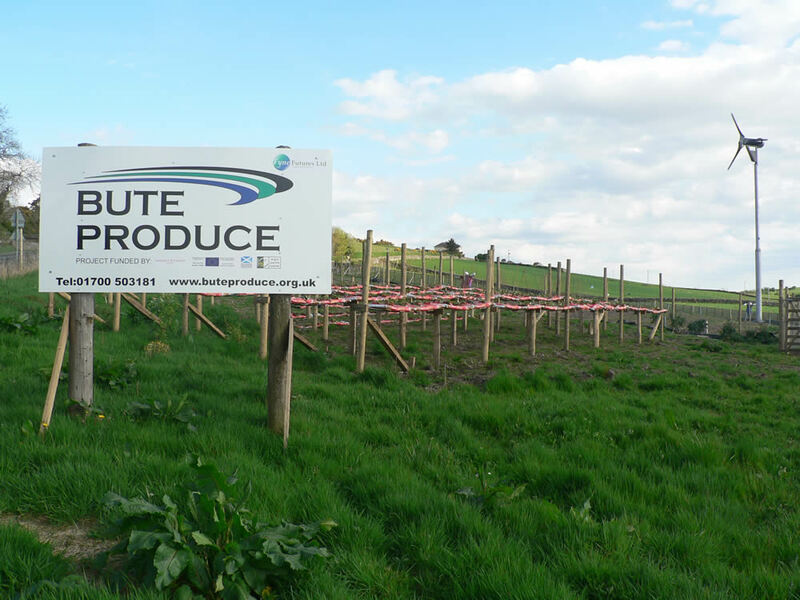 The project secure one full time position at Bute Produce and supports creation of 4 work based training opportunities.